Save money in a tax-deferred manner to take care of future medical expenses. If you have a high-deductible health plan (HDHP) but need help with the day-to-day medical expenses like prescriptions and office visits, The Bank of Elk River has the answer. It's called a Health Savings Account. How does it work? 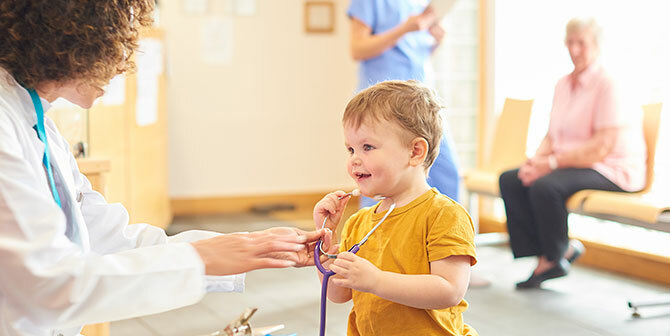 A Health Savings Account (HSA) is a lot like an Individual Retirement Account (IRA), where you can save money in a tax-deferred manner to take care of future medical expenses. The primary difference is that funds used for qualified medical expenses are never taxed! No stress, no hassle. Just a plan to help you and your family save for unforeseen medical expenses. Unlike a flexible spending account, if you don't use the money in your HSA by the end of the year, no problem. The balance simply rolls over and becomes available for the following year. You can continue adding money to your HSA as long as you are covered by an HDHP. People age 55 through 64 are eligible for catch-up contributions. For more detailed information on HSA plans and taxes, visit the U.S. Department of Treasury website or talk with your tax advisor. or $1,500 in combined deposits. If you're covered by a high-deductible health plan (HDHP), not eligible for Medicare and can't be claimed as a dependent on someone else's tax return, you may be eligible for an HSA. Restrictions do apply. For 2019, you can contribute your full amount up to $3,500 (individual coverage) or $7,000 (family coverage). These amounts will be adjusted for cost-of-living increases. Catch-up contributions are available for those age 55 through 64. It works just like a checking account, only for health-related expenses. You can add qualified contributions to it any time and simply use a debit card or write a check for qualified medical expenses. You are responsible to determine what a qualified medical expense is. A partial list is provided in IRS publication 502 (available at www.irs.gov). Are dental and vision care qualified medical expenses under an HSA? Yes, as long as these are deductible under the current rules. Who will be the bookkeeper of my HSA? It is your responsibility to keep track of your deposits and expenditures and keep all of your receipts. What if I don't use the money in my HSA? After age 65, unused HSA funds can be used for qualified medical expenses in retirement. Funds distributed for other purposes will be subject to income tax. Do I have a termination fee? There are no termination fees if you choose to close your account. You own and control the money in your HSA. You decide which expenses to pay from the account. 1 Subject to change yearly with cost-of-living increases. 2 Your interest rate and annual percentage yield may change at any time at our discretion. Interest begins to accrue no later than the business day we receive credit for the deposit of noncash items (for example checks). Interest will be compounded monthly and credited to your account on every monthly statement. We use the daily balance method to calculate the interest on your account. This method applies a daily periodic rate to the principal in the account each day. This is a tiered rate account. Your interest rate and annual percentage yield may change based on the daily balance in your account. Fees may reduce earnings.